Having just finished the reception year for the eldest, the rollercoaster of emotions is all still very fresh as the middle boy begins his first day in reception year. 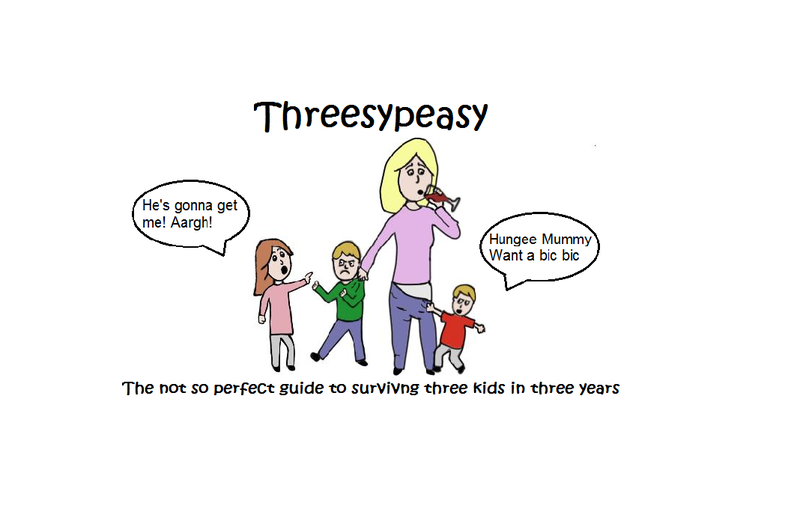 Having three children so close in age, it’s the nature of the beast for things to go at break neck speed (literally, they’re nuts, I will be seriously injured one day as a result of the tornado of children that rip through the house), but on the upside, each experience is still fresh in the mind and there, ready to learn from. I don’t want to steal his thunder away from him, as starting school is a big deal, it’s a huge step for this little person, but there are things I know now, that are not worthy of getting my knickers in a twist and by not getting all in a tiz, will help to make sure I’m better for him. So I put together a list of things, that I’m not going to get all stressed out by, or rather it’s a little reminder to myself that all the emotions involved in starting school will settle and all will work out just fine. If they’re not as academically forward as the ‘every-school-or-preschool-has-them-superbrain’. There’s always that kid who is just astounding, is writing their full name and Biff, Chip and Kipper are so last year to them. While its awesome that some kids are able to do more at an early age, its hard not to get a little trapped in the, “why can’t my kid do this”, rumination trap (‘Tiger mum’ I believe is the label here) BUT IT DOESN’T MATTER. Name writing, book reading, adding; its no big deal if they can’t do this by the time they start school you will be amazed at how quick they pick these things up. Comparing them to other children is just going to cause unnecessary stress for both of you. Yes, it may be all great if you can proudly announce they’re reading war and peace, but if they can’t get themselves dressed and are presenting you with fly ridden crusty pants at the end of the day, you won’t be doing them any favours. I spent a bit more time in the first few weeks, tackling buttons and talking about proper bum wiping, as I imagined that teachers actually wanted to teach and not be answering yells from the toilets to assist in some form of poo issue. There will be set backs, they will get over excited, tired and overwhelmed and there will be accidents and if the first few weeks are a bit messy, don’t despair THEY WILL GET THERE. Let them enjoy it, let them go at their own pace. Save your energy for SATS or GCSE stage not the colour by numbers homework at reception. I don’t want to get into the whole debate of homework here, I have mixed views, but getting into a battle of wills with a five-year old at this stage in their school life is not the best way to start. Home learning is meant to be exactly how it sounds, a way to continue the learning at home in an independent way, it shouldn’t be perceived as a chore. Judge it. If they’re all over it and keen get in there with that homework book and make the most of the time together, but if they’re tired and narky don’t poke that over tired beast. Take a note of what they’re doing and use a little trickery to incorporate it into family life. EG; “mate we’ve only got three beer mats on our table, how many more do we need?” *inserts winky faced emoji*. Hell hath no fury like an over tired five-year old in their first month of school. They will be knackered. There’s no point trying to do anything between the hours of 3.30pm and 6.30pm as they’re ravenous and tired. It takes hangry to a whole new level. If you do after school stuff the hats off to you, you’re a braver person than me. For me personally, I’m going to lay off it for the first couple of weeks and just throw snacks at them until dinner time then get them off to bed! Keeping it simple. The school run is an art to be mastered. You may think you’re organised and ready but there bullets to dodge every morning, like disappearing shoes, the permission slips that you didn’t see in their folder and some form of lunchbox contents disagreement. If it’s a bit shouty and hectic some mornings and you find yourself trotting down the road shouting, “yes, yes brilliant, another snail can we hurry *whispers* the f**k up please”, it’s perfectly normal and you wont be the only one. For many of us its still not been nailed. But you are learning too, this is new for you as well. Get what you can done the night before and roll with it. If you’re late a couple of times, who cares. YOU WILL GET THERE. The struggle to leave them is real and heart-wrenching, but as I much as I will want to make it the longest good-bye and tell him how proud I am of him, I know it will only make it worst. Its ripping of the band-aid time. One last death squeeze, big smiles and brave face it until you are safely out the way to have a good cry. There’s nothing worse than your little one holding onto your leg and pleading with you not to leave you, but trust the teachers and trust that within twenty minutes of you being gone they will be happy and distracted by all that’s going on in their new class. It may take a while, tears may be a part of your morning for a good while, like it was with us with pre-school drop offs, but they settle, it gets easier and they will enjoy it. THEY WILL BE FINE. I’m not going to sit and fret about how they are all day. Of course I will have several moments when I get home, there will be a few tears whilst looking at his baby photos on the wall and I will be distracted. I don’t bank on getting much done until they come, but I know if things aren’t right I will be phoned. It’s not going to be a breeze for them, but they are surrounded by a very caring bunch of teachers and assistants who have plenty of talent to keep them distracted, entertained and most of all SAFE. THEY WILL BE FINE. This is the start of an amazing journey. However heartbreaking it is to see our babies move on, you will still be the centre of their world for a very long time. They’re not gone they’re still very much there, literally, like stuck to you when they get home all tired and emotional. May our cupboards and fridges be stocked with enough alcohol to see us through this. Good luck to you all and your little ones.